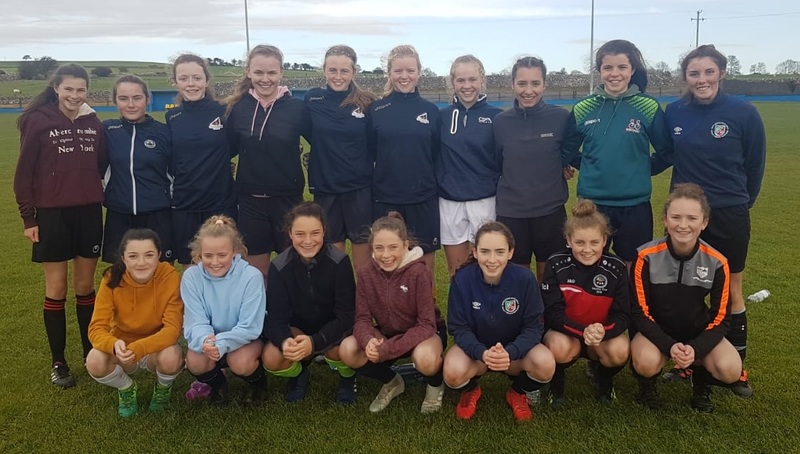 This Friday (November 16) will see sixty eight of the top players in Irish Schools line out for the FAI Schools Under 15 Girls’ Interprovincial Tournament as the AUL Complex, Clonshaugh plays host. 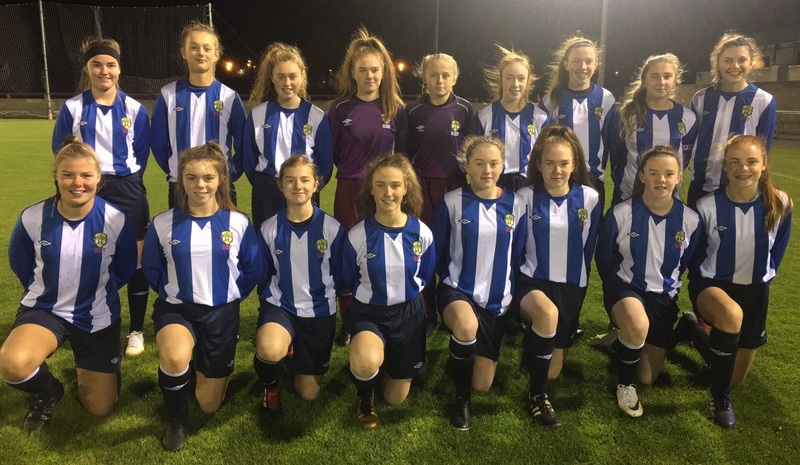 The Interprovincial series will be the first step in the process of selecting the FAI Schools International Development squad of 18 players who will compete in the Bob Docherty Cup. The 2018/19 campaign will see the Republic of Ireland Schools select travel to Salou for this season’s Home Nations event. The International series will take place during the Easter Break from Sunday, April 21 to Wednesday, April 24. Prior to that the squad will take on England in the annual John Read Cup as well as a friendly with Northern Ireland in the build-up to this season’s International run. With this in mind, all eyes will be on the Interprovincial series to scout for the best talent on display within our network of post primary schools. The three day event will see a series of six matches played with Provinces awarded two points for a win and one point for a draw. The format leaves for an exciting finale in the Sunday morning outings. An impressive ten players will make a welcome return from last season. Dom Coll’s set-up will see Amy MAHON (St. Joseph’s CC, Charlestown) and Aoibheann COSTELLO (Scoil Bhríde, Mercy SS, Tuam) join forces again. Bridgeen Harley will see Tyler’s younger sister, Cate TOLAND (Deele College, Raphoe) and Erin DOHERTY (Coláiste Ailigh, Letterkenny) resume their provincial partnership for Ulster. Nicole McNAMARA (Coláiste na Trócaire, Rathkeale) and Mia O’CONNELL (Coláiste Muire, Cobh) star for Barry Ryan’s Munster crew. While Leinster quartet of Captain Ellen MOLLOY (Presentation SS, Kilkenny) and Vice Captain Jessie STAPLETON (Palmerstown Community College) who is also eligible again next year rejoin colleagues Abby McHUGH (Dunshaughlin CC) and Maria REYNOLDS (Loreto Abbey, Dalkey) in the Leinster group. On paper, Leinster will be favourities with the inclusion of two former Schools Internationals included with Molloy and Stapleton playing a vital role in the Republic of Ireland’s title win in Belfast last Easter seeing Richard Berkeley’s side lift the Bob Docherty Cup, their sixth title in 17 years. The Leinster duo’s experience at this level of competition will be crucial to ensure their provinces return to winning ways. They conceded their dominance of the Interprovincial tournament twelve months previous and dashed their astonishing six in a row title ambitions when surprise package Connacht took the prestigious title following their 2-0 victory in the final game of the event. Two first half goals courtesy of Schools’ International Kate O’Dowd of St. Nathy’s College, Ballaghaderreen and Gort Community School pupil Abbie Callanan were enough to seal the deal for Dom Coll’s charges much to the disappointment of Rob Ellison’s team. Indeed it was a bitter sweet victory for Dom Coll, Seamas MacEachmharcaigh and Seán Boland who had been involved in the operation for over twenty years. Indeed MacEachmharcaigh and Boland have stepped aside this season on a high as Coll will be joined by Fabienne Cooney (Claregalway College) and Joe Finnerty (Presentation College, Athenry). Emma Walker, St. Leo College is a youngster with a bright future. She impressed in the FAI First Year Futsal National Finals last year, winning the Player of the Tournament accolade with her silky skills. Can she replicate this form in the Interprovincial stage? This tournament has always been a tight and competitive outing for the four teams involved. Munster have a new look management staff as Richard Grimes relinquishes his position as Head Coach following his sterling service to the province over the years. Presentation SS, Thurles teacher Barry Ryan, will be an able replacement having lead his school to many provincial and national honours in recent times. Andy Russell, Pat Barrett and Eileen O’Brien will be sure to add to the dynamic. Grimes’ charges completed an historic treble in 2006, 2007, 2008 and then again in 2011. Can Ryan reproduce that magic and claim top spot following a seven year hiatus? Ulster last won the tournament outright in 2010 and have always been very modest in their endeavours to recapture their hold on the trophy. St. Columba’s College tutor Bridgeen Harley will be confident that they can give a good account of themselves in their opening game against Leinster on Friday evening when they take to the field at 4.30pm. Harley will have a unity to her side which sees five students from Carndonagh CS involved as well as a trio from Deele College, Raphoe and a duo from Scoil Mhuire, Buncrana. 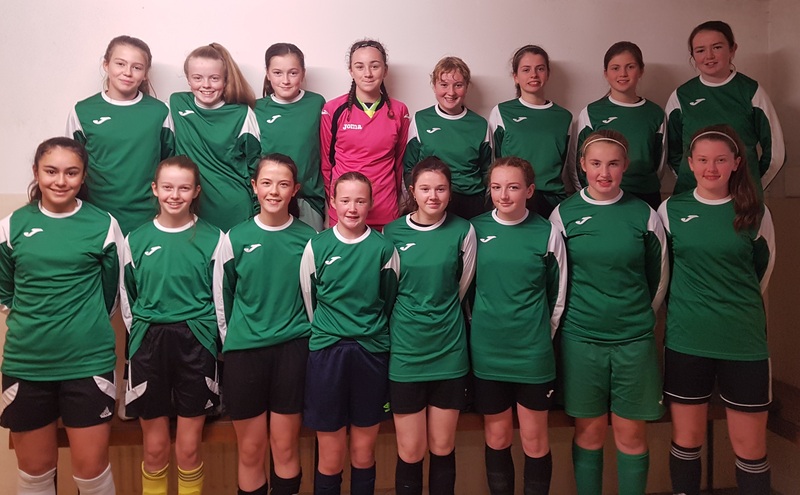 Keri Loughrey will be one to watch out for having featured for Scoil Íosagain, Buncrana in the SPAR FAI Primary School 5s National Finals in the Aviva Stadium last May. She picked up the Player of the Tournament in that division with her phenomenal work rate and goal scoring abilities. She now applies her trade in Scoil Mhuire and will sure to impress. Title holders Connacht came agonisingly close to snatching the title back in 2012, only for Leinster to get an injury time winner courtesy of a converted penalty from Eleanor Ryan Doyle (St. Joseph’s College, Lucan) to take the title in dramatic fashion in Athlone Town FC. They suffered a similar feat in 2015 when Leinster won the title following a dubious penalty call. But 2017 was a unique year for the Westerners which saw International starlets Muireann Devaney (St. Clare’s CS, Manorhamilton), Kate O’Dowd (St. Nathy’s College, Ballaghaderreen) and Anna Fahey (St. Paul’s SS, Oughterard) play a starring role. They were accompanied by Claregalway College trio Chellene Trill, Shauna Brennan and Kate Slevin as well as Ursuline College, Sligo duo Helen Monaghan and Sarah Kiernan. An incredible array of talent at their disposal to ensure the number one spot. The 2017 Champions will entertain Munster on Friday evening as the tournament gets underway at 3pm. A tough test as both look to get two points on the board early on. Following the three day series in Dublin on Sunday, an extended panel will be invited back for trial on Saturday, December 1 in FAI HQ, Abbotstown. Richard Berkeley, teacher in Sancta Maria College, Louisburgh had a wonderful debut season at the helm. The Tallaght native will be reunited with his management team of Karen Byrne (St. Michael’s House, Skerries), Karen Henry (Mulroy College, Milford), Scott Gaynor (Presentation SS, Wexford) as well as colleague Emma Mullin. In keeping with the long standing tradition of maintaining the interest in the competition until the final matches on Sunday morning, the draw for Saturday and Sunday’s matches will be made following the games on Friday evening.